In the 1930’s, movie theaters had their own Mickey Mouse Clubs and were in charge of making the costumes, many of which were creepy. There was a Mickey Mouse car and a Mickey Mouse Revue, and no real quality control on what the costumes looked like. Even at Disneyland in 1958, the White Rabbit wasn’t a complete costume at the opening of the Alice in Wonderland attraction. Walt Disney had some wrought iron deer in his yard that he gave up for the war effort. One photo shows him ready to take a sledgehammer to Bambi. According to Disney Historian Paul F. Anderson, Donald Duck’s Der Fuehrer’s Face is the “greatest single piece of propaganda to ever come out of the United States.” Originally called Donald Duck in Nutzi Land, the short features Donald Duck reading Mein Kampf and working in a Nazi factory. In the 1940s, it was all about promoting the film. One theater hired “midgets” to promote Pinocchio. They stood on top of the marquee and cavorted to draw attention to the movie theater. At some point, someone sent up some alcohol and by the early evening the men were drunk and naked. At Disneyland, Main Street, U.S.A. used to have a lingerie shop featuring “the wizard of bras.” The shop even had a short presentation that used audio and a mirror to talk about ladies undergarments. The video of Disneyland on the right shows the shop that lasted six months according to the Disney History Institute. The Main Street Cinema used to show silent films, and that put Universal monsters on Main Street to promote the films. Fishing off of Tom Sawyer’s Island was allowed. The park even sold worms. People were allowed to keep all they caught, and the park had facilities to store the fish until the guests went home. The House of the Future was so well built that when it came time to remove it, the wrecking balls just bounced off it. The park had to use chainsaws to remove it piece by piece. 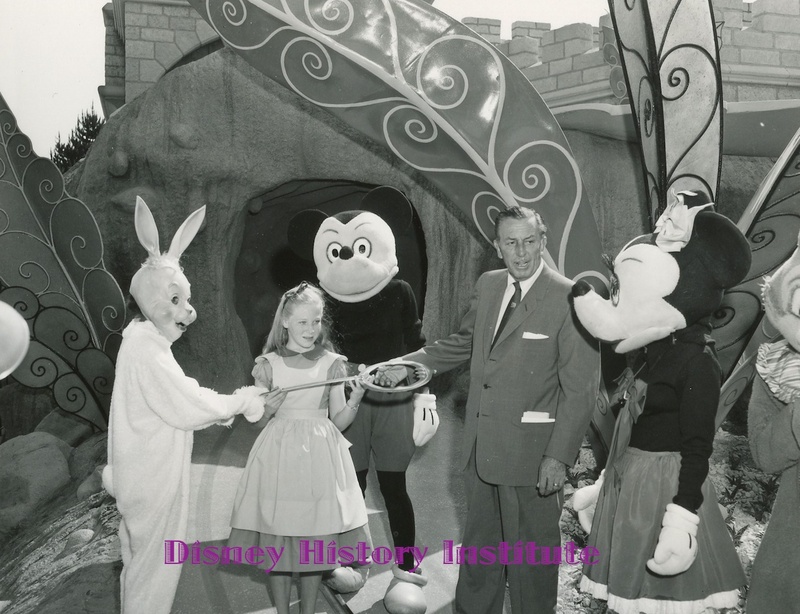 Join the Disney History Institute on Facebook.